With the Houston Astros 2019 opener barely a month away, it’s time to get down to serious business. Like, how many bobblehead giveaways will there be this season? Answer: Nine, with a few more specials, like Star Wars and Game of Thrones-themed b’heads available for sale. Sehgal did not say which players would be immortalized in ceramic and plastic this year, or what dates they’ll be given away. The Astros use a few different companies to produce their bobbleheads, but most come from BDA and Success Promotions. The players do not see their bobbleheads prior to production. So far, no complaints, though. Bobbleheads, or “Bobbing Heads” or “Nodders,” have become such a part of the baseball experience that a Bobblehead Hall of Fame and Museum recently opened in Milwaukee. 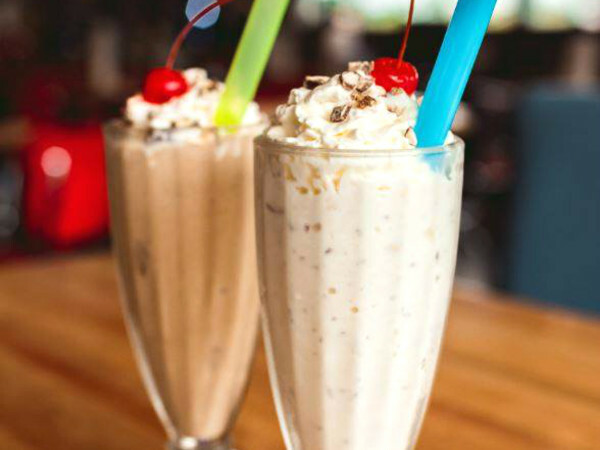 We can’t snicker. Houston is home to the National Museum of Funeral History. Given a choice, I’d rather be headed to the Bobblehead Museum...than beheaded in the Funeral Museum. 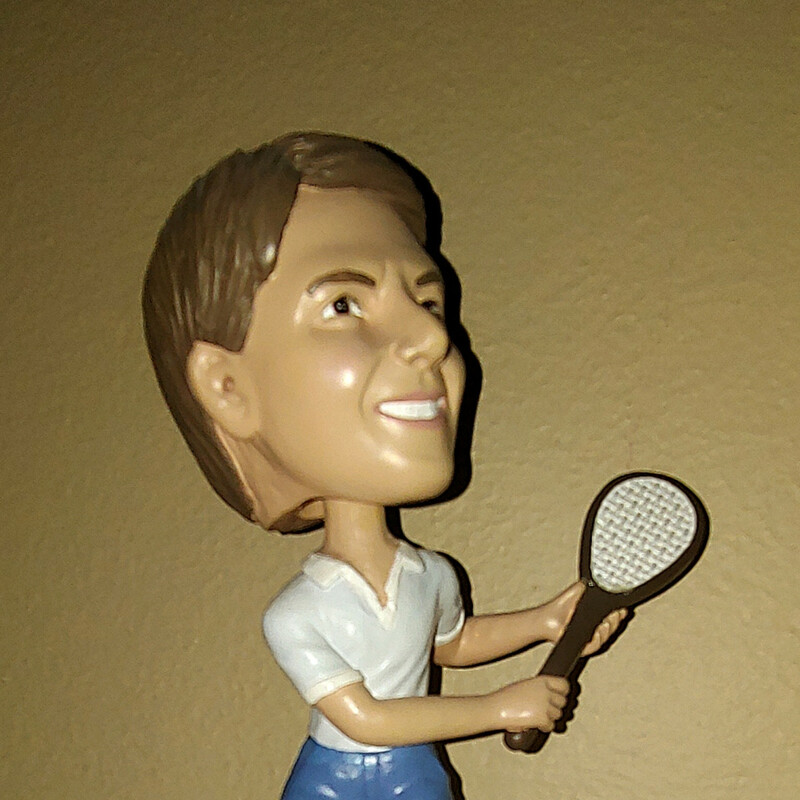 I contacted Bobblehead HOF co-founder Phil Sklar and ran 10 questions by him. Of course, I wanted to know how much presence the Astros command. Ken Hoffman: How many bobbleheads are on display in the museum? Phil Sklar: We have about 6,500 unique bobbleheads on display and about 10,000 in the collection. This gives us the opportunity to have several bobbleheads from each team and all different genres on display at any given time. 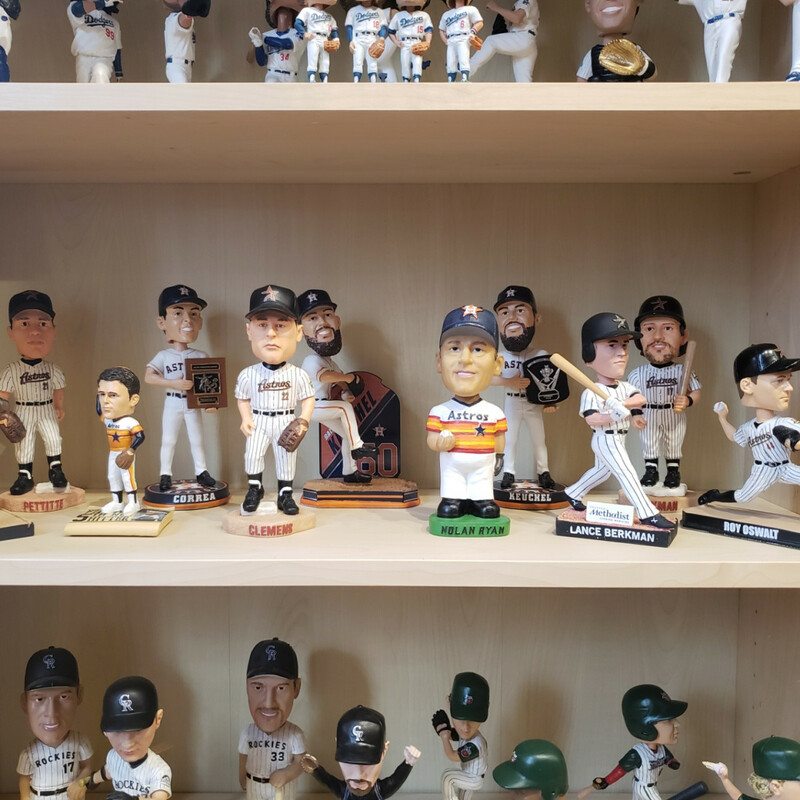 We are also able to rotate bobbleheads in and out and change things up so that people will always find new bobbleheads when they visit. KH: What was the first bobblehead? PS: Most people are surprised that the first bobblehead dates back to the 1760s in a painting of Queen Charlotte of England. We have a pretty extensive history section on our website, bobbleheadhall.com. KH: When did bobbleheads catch fire as MLB giveaways? Which team was first to use bobbleheads as a promotion? Who was the first baseball bobblehead? PS: The first bobblehead giveaway was on May 9, 1999. It was a Willie Mays bobblehead by the San Francisco Giants. The marketing team wanted some very special promotions during the final season at Candlestick Park. Soon nearly every team was doing a bobblehead giveaway. KH: What is the holy grail of bobbleheads, the most valuable and hardest to find? PS: That would have to be an oversized New York Yankees promotional bobblehead from 1961 which sold for just under $60,000 ($59,750 to be exact) a few years ago. We've seen some sell in the $30,000 range, but nothing that high before or after. You can see the picture of that one at the history link on our website. KH: How many Astros bobbleheads are on display? PS: We have about a dozen Astros bobbleheads on display right now and just switched out the full set of Houston Astros 2017 World Series Bobbleheads with the 2018 Boston Red Sox on our ‘Champions Wall’ that features the most recent baseball, football, basketball and hockey champions. The Astros World Series bobbleheads are among the most popular champions bobbleheads ever because it was the team’s first title. Of the ones currently on display, I really like the Nolan Ryan bobblehead from the early 2000s with the vintage Astros rainbow uniform. 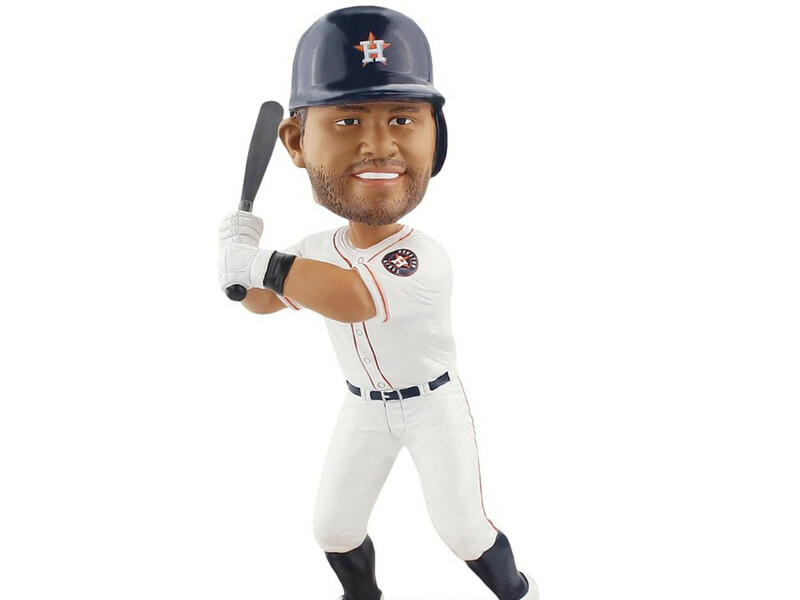 Other Astros bobbles include: Final Out of 2017 World Series, Alex Bregman, Charlie Morton, Yuli Gurriel, George Springer, and Jose Altuve-Carlos Correa Celebration. KH: What about politicians, rock stars, and other bobbleheads? How do they compare with baseball bobbleheads? PS: Popularity is a bit difficult to determine. Given the number of teams and number of games, there are far more baseball bobbleheads than any other type. However, there are bobbleheads in nearly every category, from politicians to actors, super heroes, celebrities, animals and every sport. All of those categories have some very popular bobbleheads. KH: When a baseball team has a bobblehead promotion, how many wind up for sale online? PS: It’s generally a very small percentage initially. It’s all about supply and demand, so if the supply is low, prices will climb and more people will list theirs. 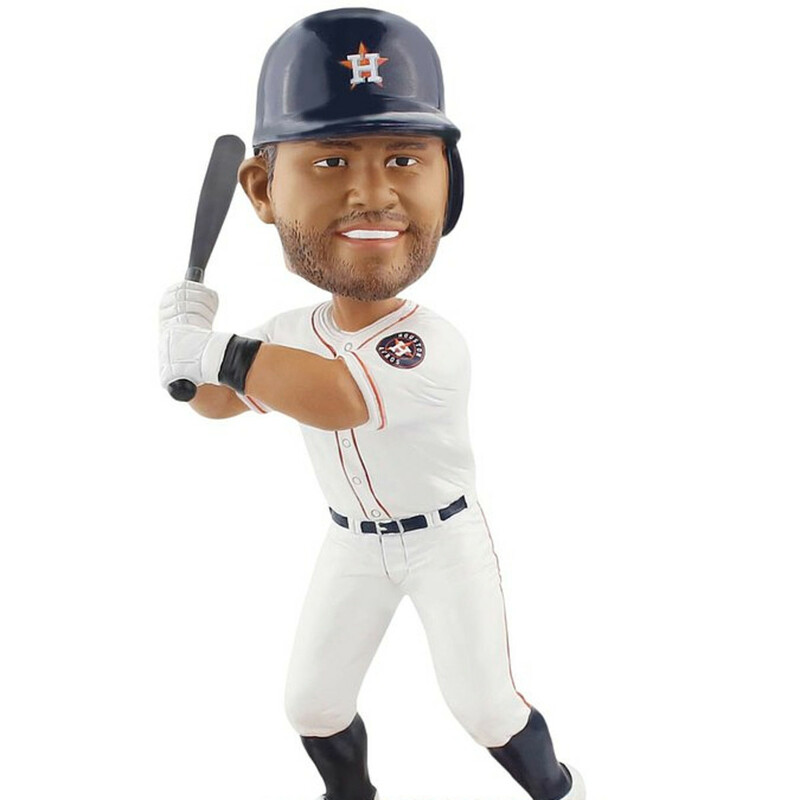 If the Astros give out 10,000 bobbleheads, I would expect around 100 to 200 will wind up on eBay initially. People will continue to list them over time, especially since some families or groups receive multiple bobbleheads, but only want one. There is usually an initial spike as people who missed out at the game or couldn’t make it to the game want to guarantee theirs. 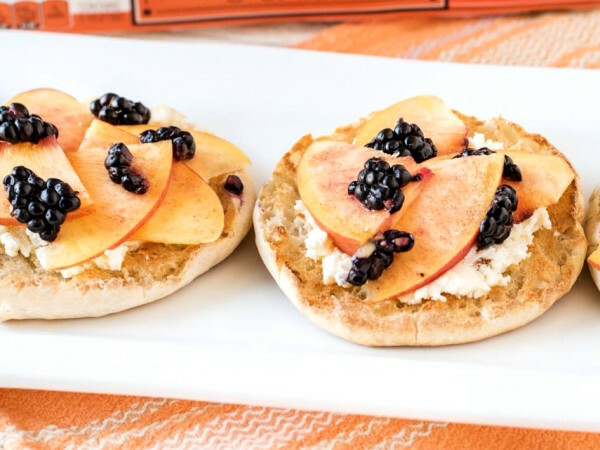 Prices then tend to steady out a bit, but for the most popular, they will usually spike. For example, the ‘Cubs Final Out’ bobblehead started out selling for $100-$150, then leveled out around $75, and now sells for over $175. KH: Are bobbleheads becoming the new Beanie Babies...investment commodities for profit? PS: I see Beanie Babies as a short-term fad, while bobbleheads have become a pop culture symbol that has shown staying power. Beanie Babies were produced in very large quantities. Most bobbleheads are very limited, which increases their long-term collectability and value. We see a lot of bobbleheads handed down from generation to generation, making the supply of rare bobbleheads very low. KH: Early bobbleheads didn't look anything like the player's face, now they're much more accurate, almost works of art. When did they get better? PS: They started to get better, in terms of the likeness resembling the person, in the mid-2000's and they've evolved a lot since then. The poses have gotten a lot more complex and other features like voice chips and lights have been incorporated. KH: How much is admission to the museum, and how many bobbleheads are for sale in your gift shop? What’s the price range? PS: Admission is $5. Kids under 5 get in free. The gift shop has about 500 unique bobbleheads ranging in price from $10 to $75 each. 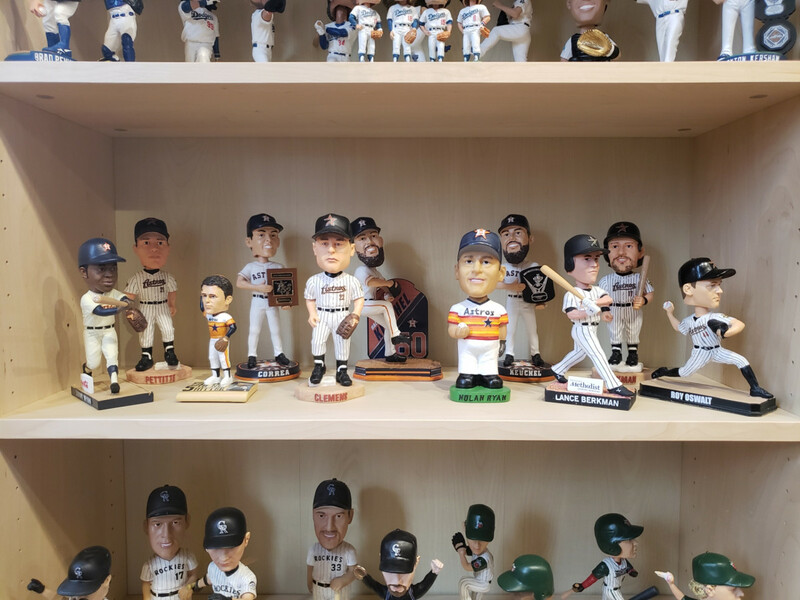 We can’t fit everything in the store, since it is only a small portion of the museum, so our website still has the largest selection of bobbleheads. 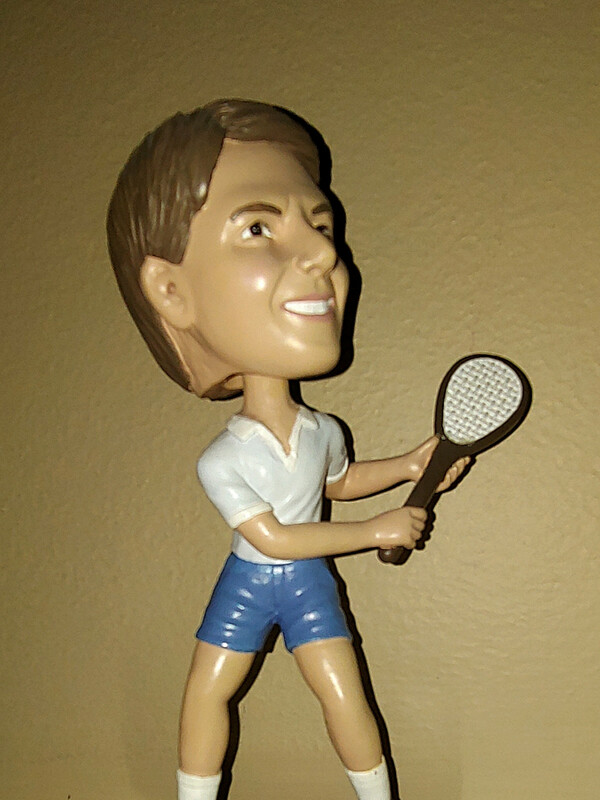 A month later, a package arrived — it was a Ken Hoffman bobblehead. I’m swinging a tennis racket, following through on my devastating topspin forehand. This was from the time when bobbleheads looked nothing like the subject. But it says my name on the bottom, and that’s good enough for me.